Now is the Chinese New Year season, lots of people are baking cookies, tarts and have a lots of egg whites left. Preparing 1 kg of pineapple jam equivalent of pineapple tarts will have 6 egg whites left; preparing coconut flavour kueh bangkit (of about 1 kg flour) needs only 6 egg yolks, preparing a traditional 9” x 9” of cake lapis will have 30 egg whites left, therefore, most families will have lots of egg whites left. 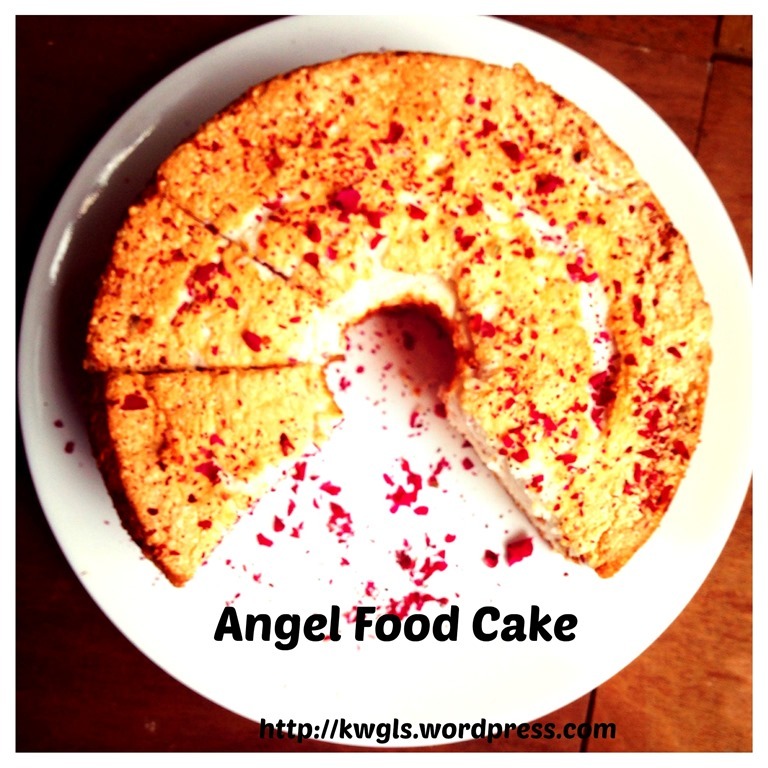 Of course you can use these egg whites in your daily cooking, but there are a number of bakes that requires purely egg whites such as almond crisp, French macaroons, meringues tarts, soufflé and not forgetting this simple angle food cake that will be shared in this post. 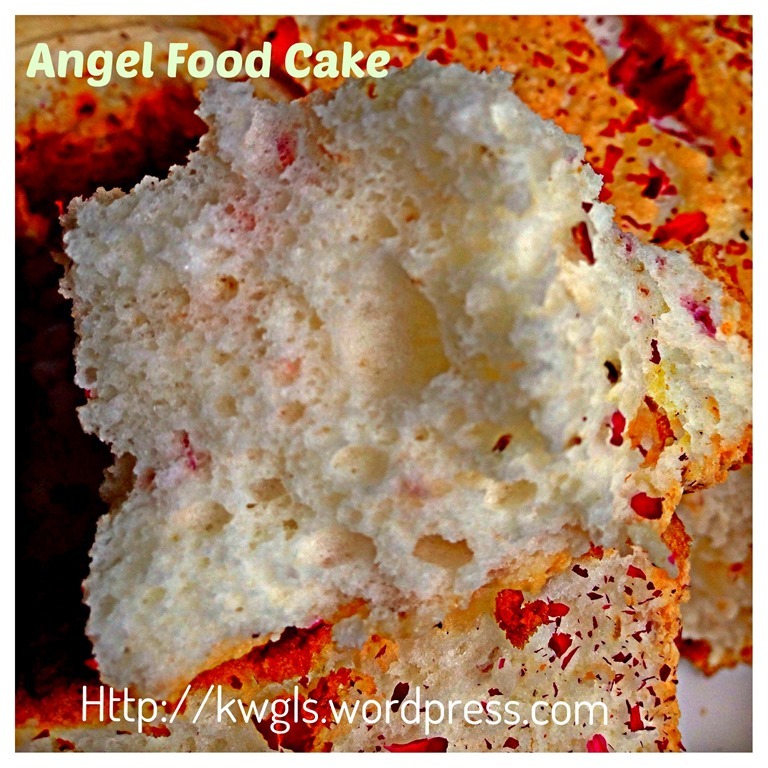 I have decided to have this simple post on Angel Food Cake, a rather traditional cake using purely egg whites. 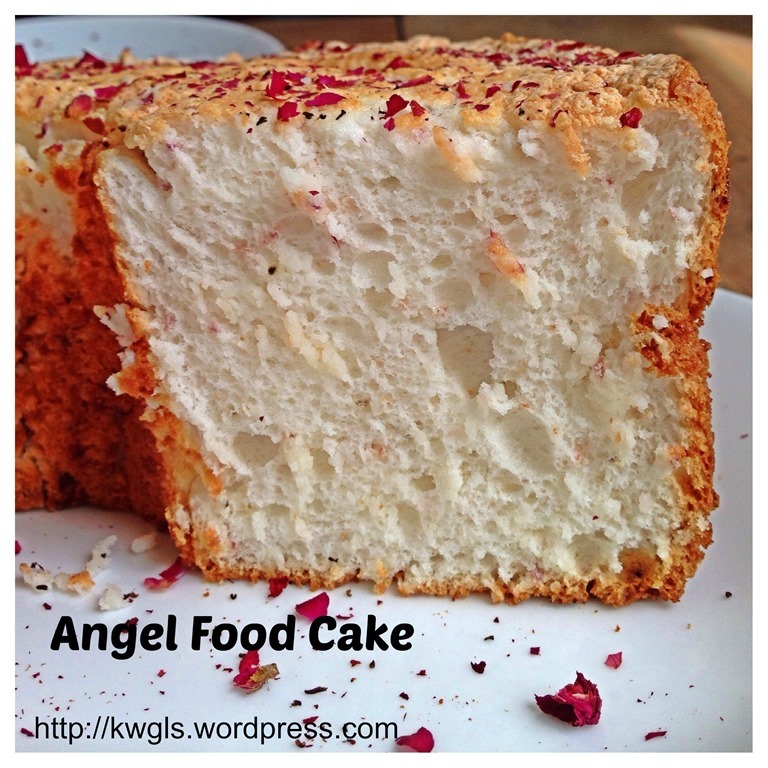 The ingredients are simple – egg whites, sugar, flour and some flavouring of your choice. 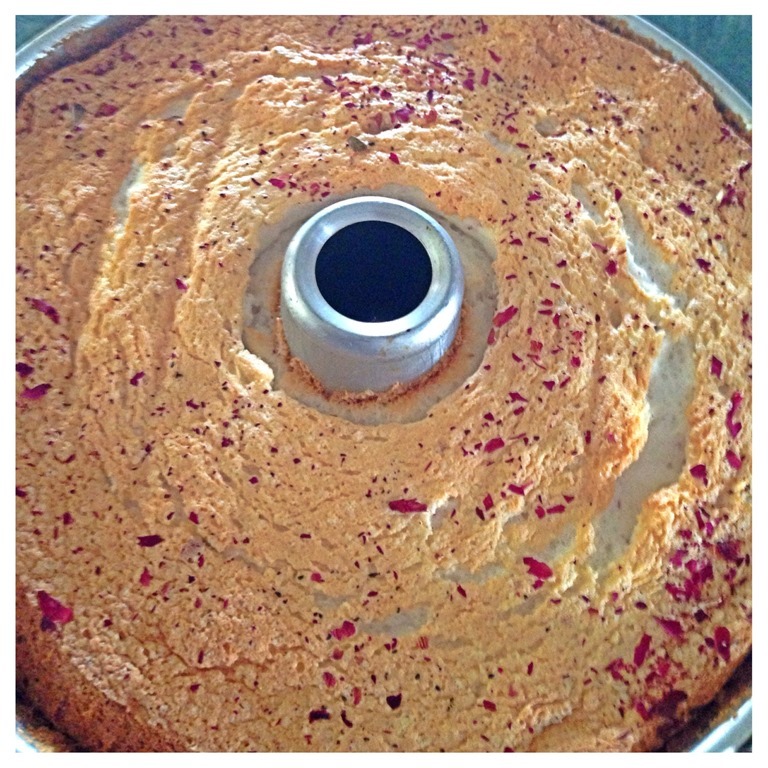 There are no fats and egg yolks used for preparing the cake and it is a cake good for those who are health conscious. Characteristics of this cake are soft, with crispy brown external but a white, soft cotton like cake structure. 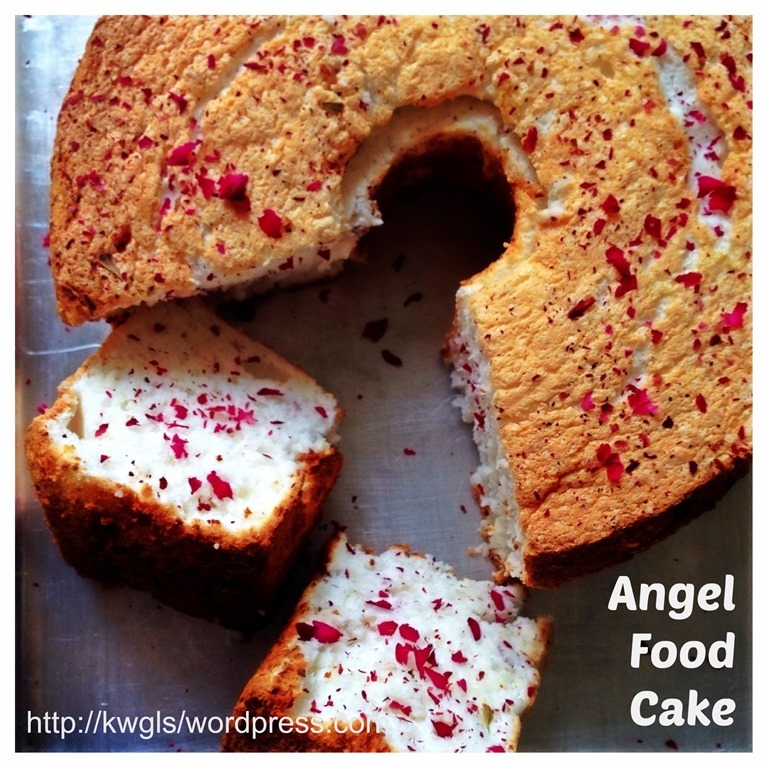 It is made using the angel cake tin or tube pan or what is commonly called in this region, chiffon cake tin. 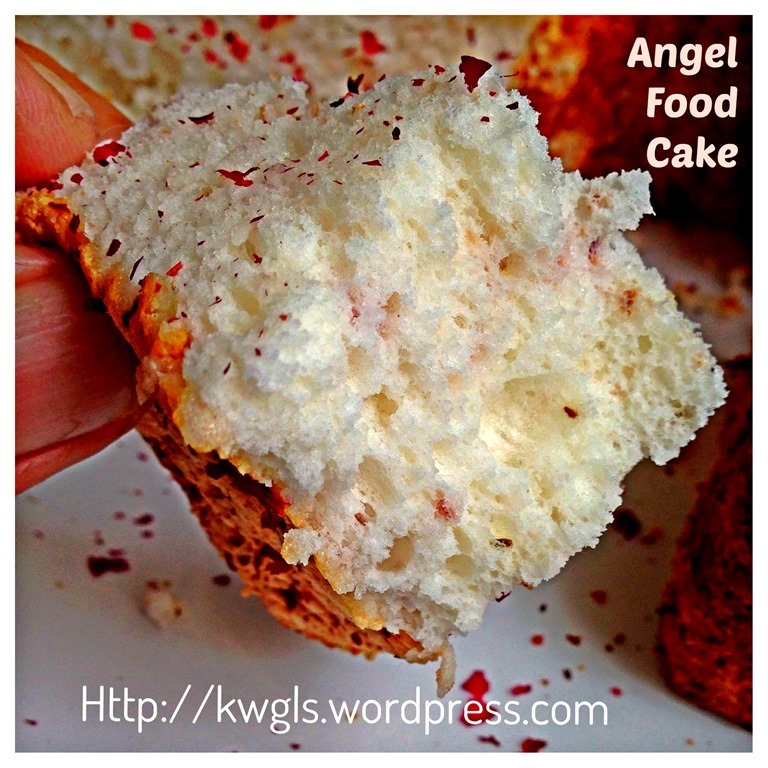 This is a basic coconut flavour angel food cake and I have opt out to use any frosting as we are not quite like having our cakes with rich frosting. So feel free to add any frosting of your choice. Other possible alternatives are ice creams, chocolate or strawberry sauces and etc. Without frosting, the cake will become plain. Though it is very beautiful that the cake is snowy white inside, to add a touch of colour, I have decided to add some dried rose petals . I loved the pink purplish debris in the white snowy cake. 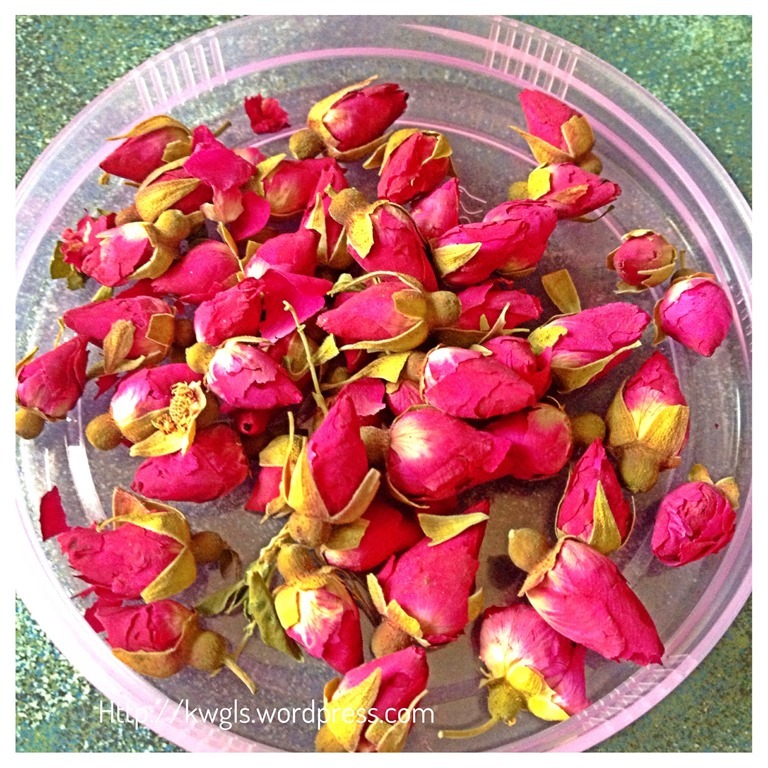 You can easily get rose petal in supermarkets or shops selling tea leaves. However this optional. Have a 25 cm angel tube pan ready (DON’T GREASED THE TUBE PAN) and ensure that the pan is free of dirt and grease. 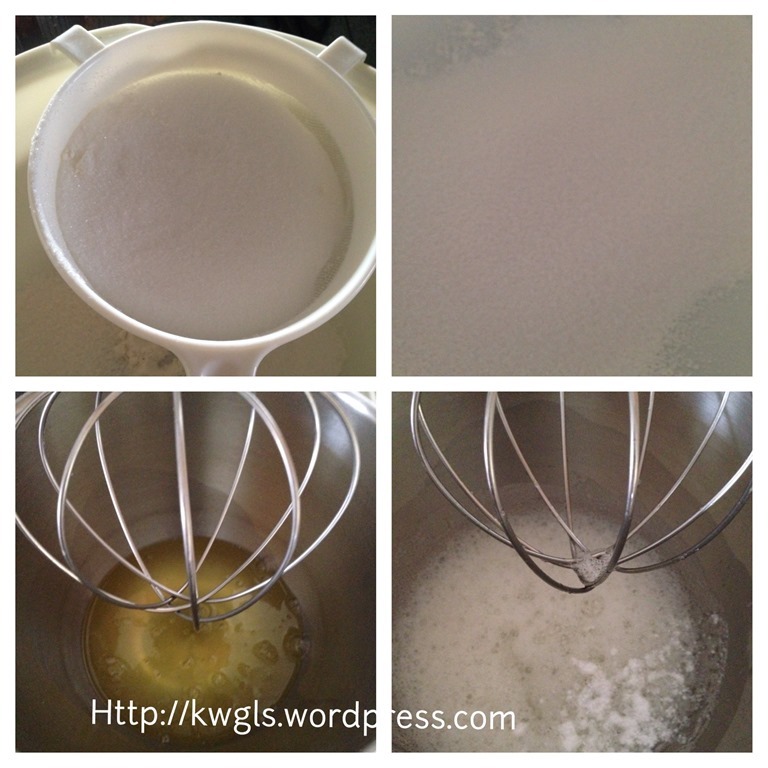 Sift the cake flour and half of the fine grain castor sugar (150 grams) into a big bowl. Set aside for later use. 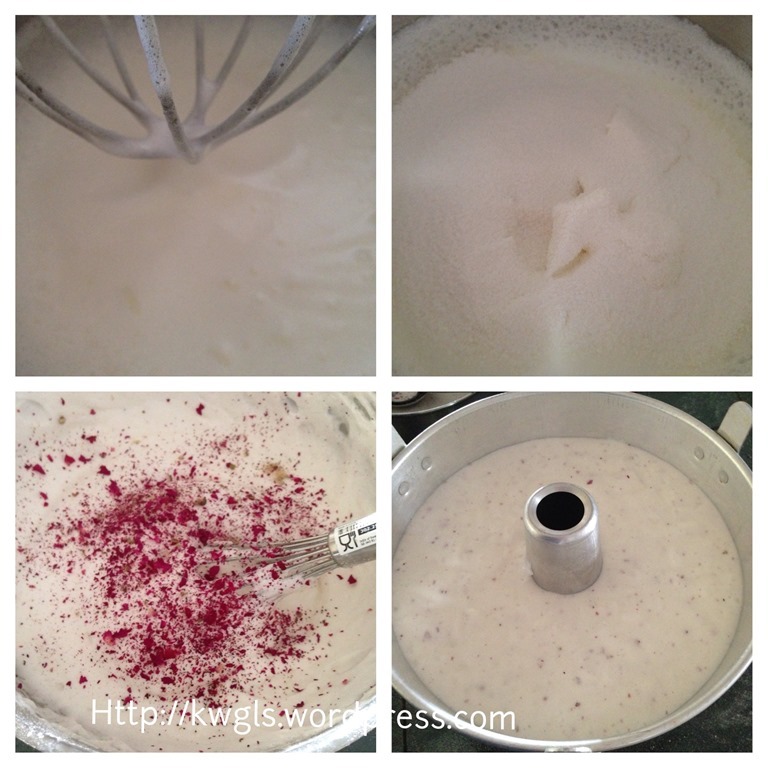 Beat the egg whites using high speed until firm peak, white and glossy, Take the mixing bowl out, add/sift in again the sugar flour mixture (double sifting if preferred), add the broken rose petals. 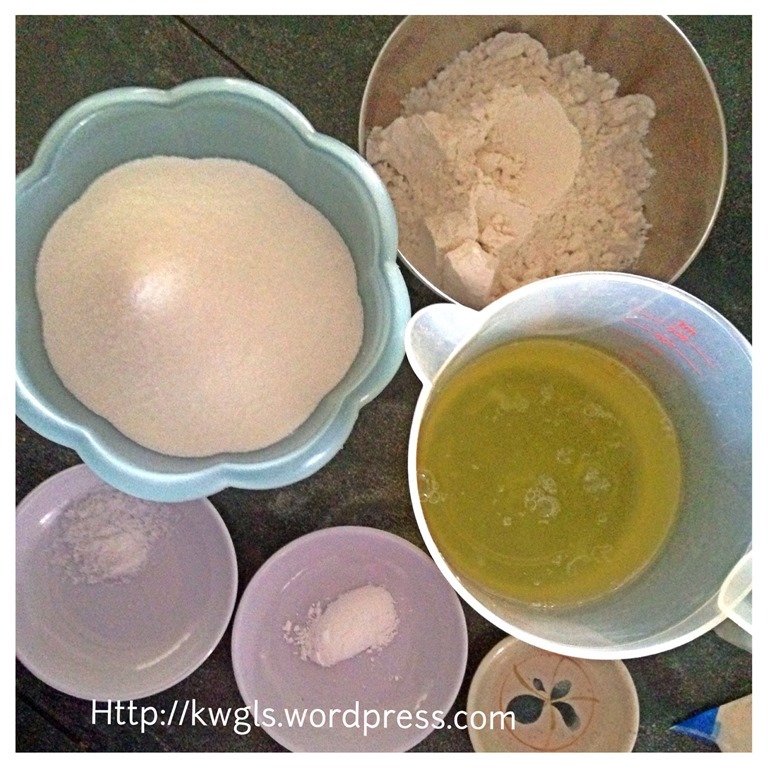 Quickly and lightly fold in the flour mixture until well combined. Transfer to the UNGREASED tube pan. Dust with additional rose petals if desired. Bake in the preheated oven of 175 degree Celsius for 40 minutes or when a skewer inserted comes out clean. Take out the baking tin and inverted immediately. Let it cooled completely (1-2 hours) before reverted back to the sitting position. Use a sharp knife or metal spatula to run around the sides of the pan to loosen the cake. 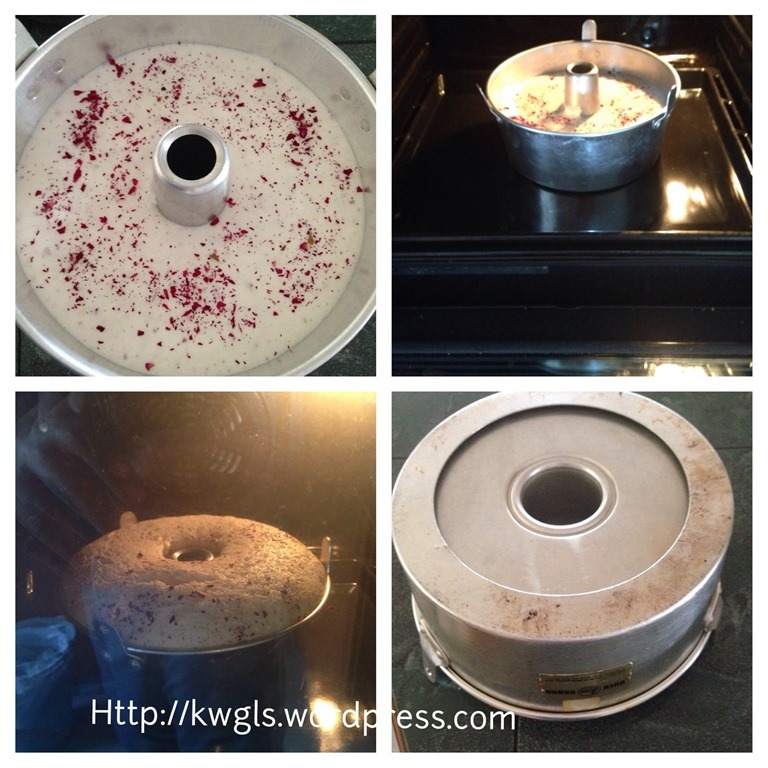 Remove the cake and use the same knife or metal spatula to run along the bottom and centre core of the pan. Remove and transfer to a serving plate. Use a serrated knife to cut the cake into desired pieces. 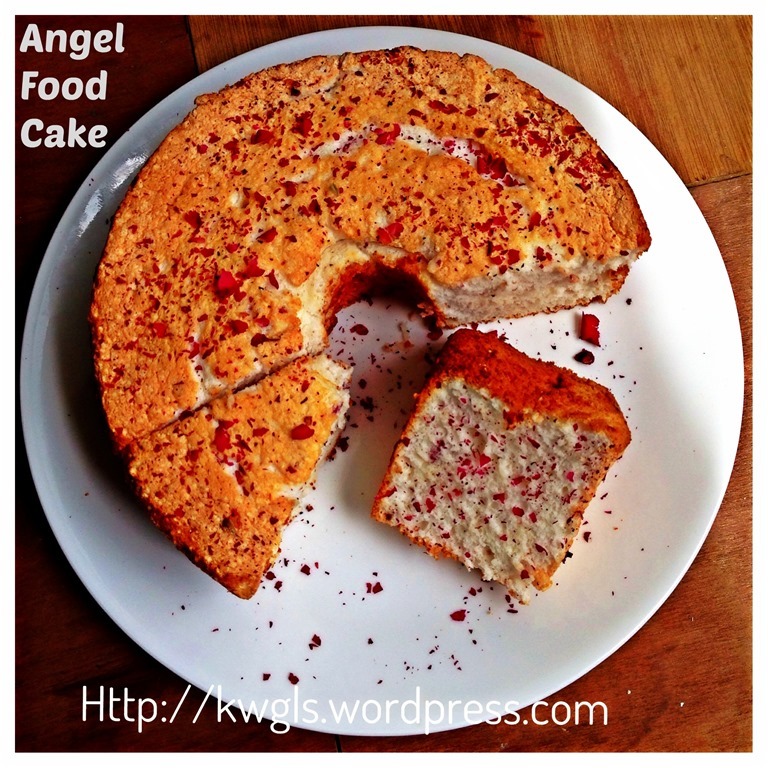 Best serve within the day it is baked or keep in the fridge for several days. To reheat, toast the cake using oven toaster or mini oven. Serve plain or desired sauces such as strawberry or chocolate sauces. Chocolate can also be considered. 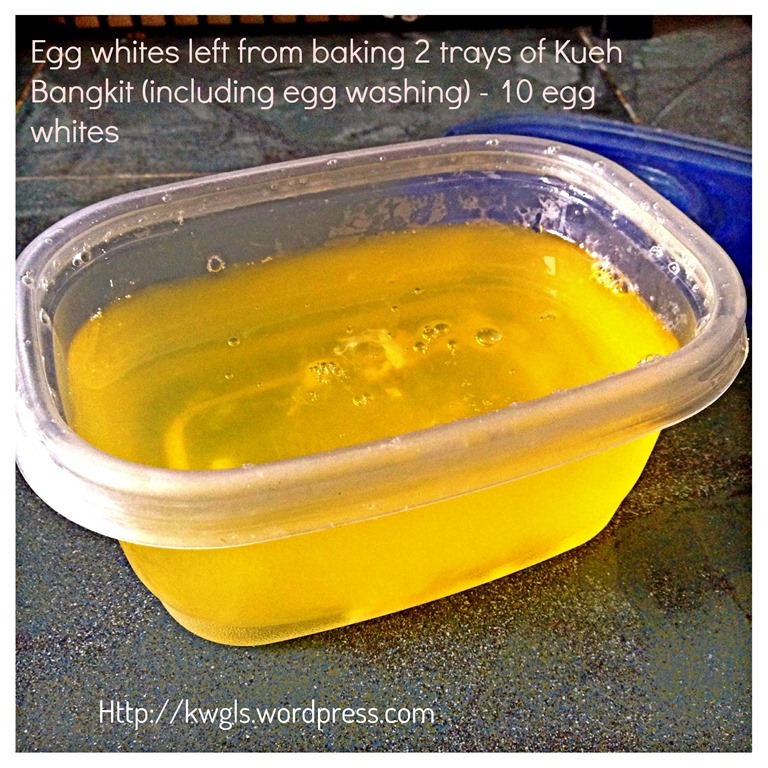 This is a simple recipe to utilize excess egg whites. It is good for those who are conscious about their weight issues since there are no fats and a good protein source for those who are keen into body building. 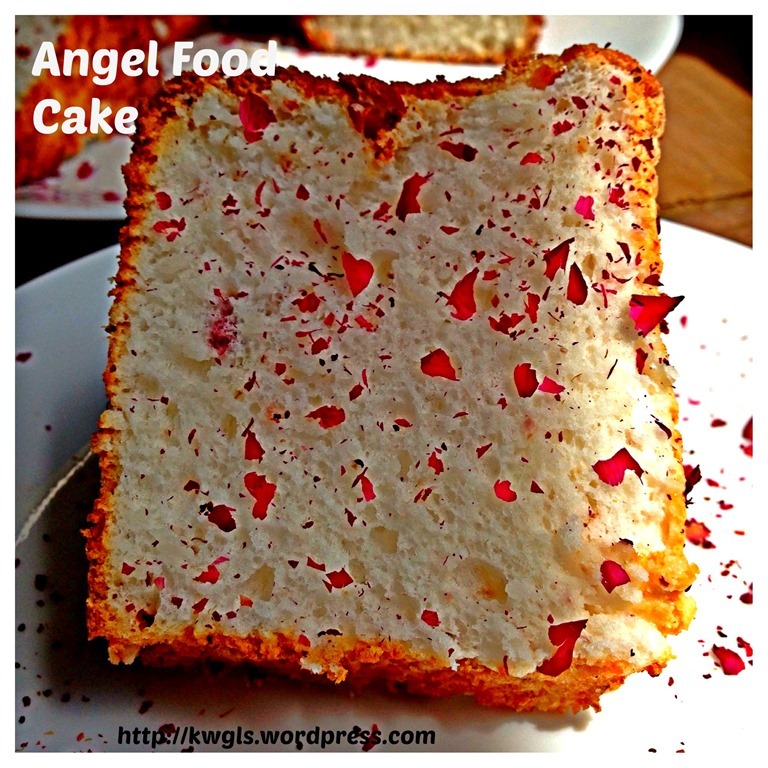 It is rather similar to chiffon cake but less fragrant because no egg yolks were used. Do try to see if it meet your taste buds. 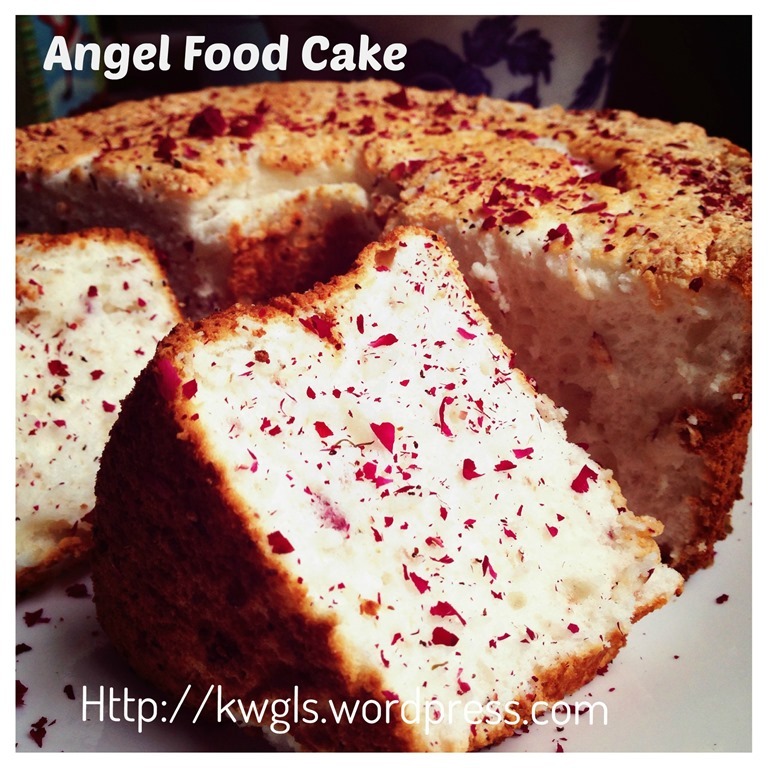 This entry was posted in Cakes and cookies, Chinese New Year 2014, Food Preparation Series and tagged 8, angel food cake, egg whites cake, GUAI SHU SHU, Guaishushu, kenneth goh, postaday. Bookmark the permalink. Hi Kenneth, would it work if I make this in cupcake form? How long would it take in the oven? Yes you can. Timing will be about 15 – 20 min. Pls keep an eye on it. Hw long can i keep the egg whites and in fridge or freezer? I suppose i have to let it cool down till room temperature before using. 12 months thaw at room temperature. Sorry Kenneth, got more queries. If i were to bake in cupcake form, do i fill to 1/2 or 3/4 of the cup? I have got pandan essence at home, possible to add abt 1 tsp of it. Do i have to keep the cake in the fridge if i want to eat it the next day? 1/2 cup full. Yes pandan essence can be used. Not at room temperature best to consume during the day it is baked. This is such a beautiful cake Kenneth! Thanks for your kind words. Have a nice day.